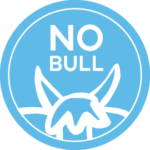 If you’re worried about sound bounce-back, you can rest assured that Soundproof Cow has the anechoic studio foam you need to control sound in any room. Our products offer professional quality at DIY prices — making them an ideal solution for home recording studios, home theater spaces and other environments where the goal is to achieve the best sound quality possible. 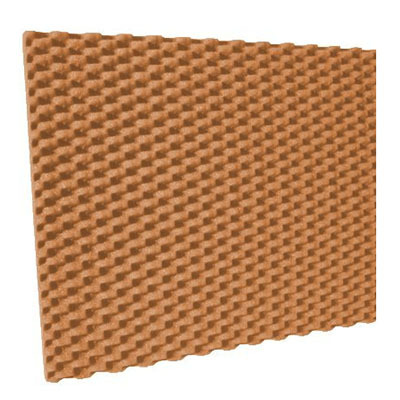 Follow the links below to shop our selection of anechoic studio foam and related products. We offer acoustic foam in a range of colors, sizes and configurations — shop online today or get in touch to request a free acoustic analysis. Echo and reverberation are caused by sound waves bouncing off hard surfaces, such as untreated walls. This causes sounds to seem muddy or boomy, and can obscure the pitch of deeper instruments. Obviously, these are major issues you’ll want to avoid when recording, mixing or performing in a home studio. 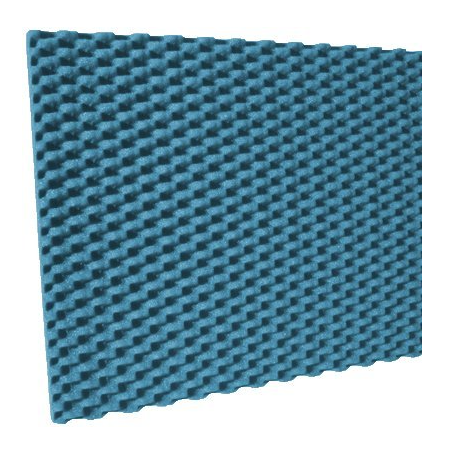 Anechoic foam is specifically designed to reduce and eliminate echo in a recording studio space by scattering and deflecting sound. This ensures you receive the purest sound imaginable without any of the unnecessary feedback. A properly treated room can overcome many of the limitations of recording at home. Conversely, even the best recording equipment can’t compensate for a room that sounds bad. Before investing in more expensive gear, consider whether or not treating the room itself would be a better investment of your money. Even if you don’t have a recording studio, Soundproof Cow has other sound absorption materials to choose from that have a variety of applications. Our products are great for commercial spaces including auditoriums, offices, gymnasiums, manufacturing facilities and anywhere else ambient noise is a problem. No matter the space, we can solve your soundproofing concerns. 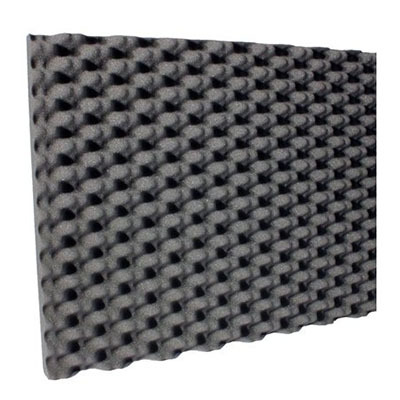 Our anechoic studio foam features a ridged design that absorbs nuisance high, midrange and low frequencies. Made from professional-grade polyurethane foam, our products offer superior resistance to rips and tears, while remaining lightweight and easy to install. We sell our anechoic studio foam in a variety of thicknesses and can customize your purchase to better suit specialty applications. Standard product sizes are 24” by 48”, 48” by 48” and 48” by 96”. Our anechoic foam is sold in four attractive colors to fit in seamlessly with any type of design or corporate branding. If you have any questions regarding anechoic studio foam or any other acoustical foam Soundproof Cow carries, don’t hesitate to call or email us.